This photograph is of an musk melons which are basically sweet to taste. These melons have a peach coloured thick skin and are light peach from the inside with seeds. 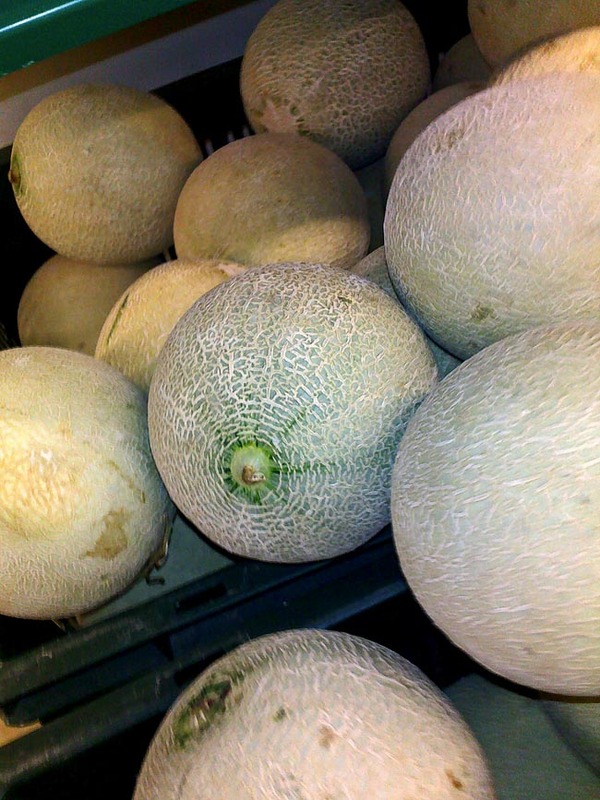 They have a netted outward skin and are at times called netted melons. 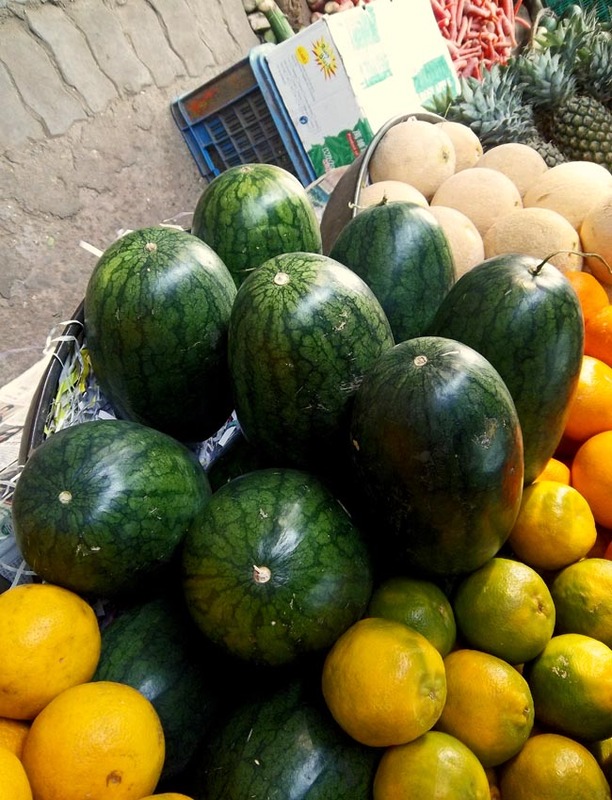 Water Melons with a thick green skin, as well as other fruit like different types of melons and pineapples in the background. You might also like to see Strawberries packed in boxes and containers or Fruit Vendors vs supermarkets or Photos of Mangoes or Fruits - Mangoes, Bananas, Apples, Peaches, Papayas, Plums and Custard Apples or Custard Apples Photographs and illustrations or Try the label "Fruits"